If you need a versatile knife that you can carry everyday, take a look at the Kershaw Needs Work 1820RD. It was designed to handle a multitude of tasks, and it is begging to be put to work. The sheepfoot utility style blade is constructed of Sandvik 14C28N steel for strength and durability. A flipper initiates SpeedSafe assisted opening for smooth, fast one handed opening every time. The liner lock ensures that the blade remains in position while open. 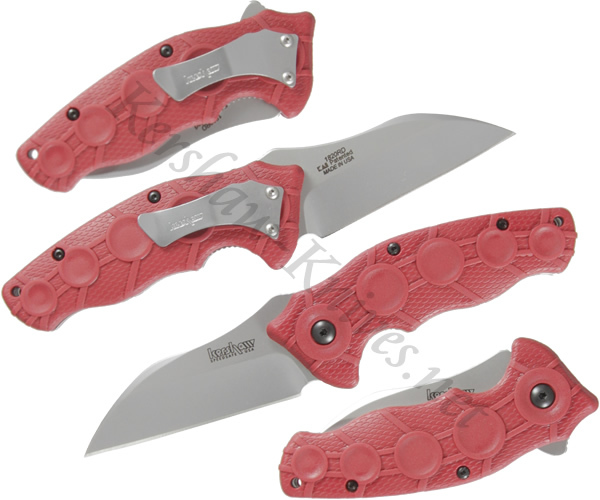 The red glass filled nylon handle makes the Kershaw Needs Work 1820RD easy to spot, easy to grip, and easy to carry with the convenient pocket clip.